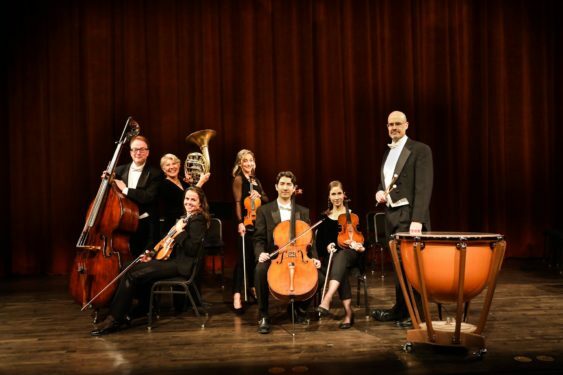 Founded in 1953, the San Francisco Chamber Orchestra has remained an active voice in the Bay Area music community, presenting free concerts with an ensemble of the region’s top professional musicians. Admission is free and seating is first come, first served (no tickets). Supporting members typically receive priority seating and priority entrance 60 minutes before concert time; please bring your membership card with you. Non-members may enter 45 minutes before concert time. We explore the fascinating intersections of classical, pop and jazz with the Catalyst String Quartet (“invariably energetic and finely burnished” according to The New York Times) and our own rock-star violist, Darcy Rindt. Hear how Mozart invented jazz, along with romantic works by the British master Sir Edward Elgar, a brand-new work by Ms. Rindt, and covers of tunes by Dave Brubeck, Brittany Spears and Muse. *Admission is free and donations are appreciated. Food is for purchase.